Our personalised christmas bib is the perfect attire for your little ones christmas dinner. 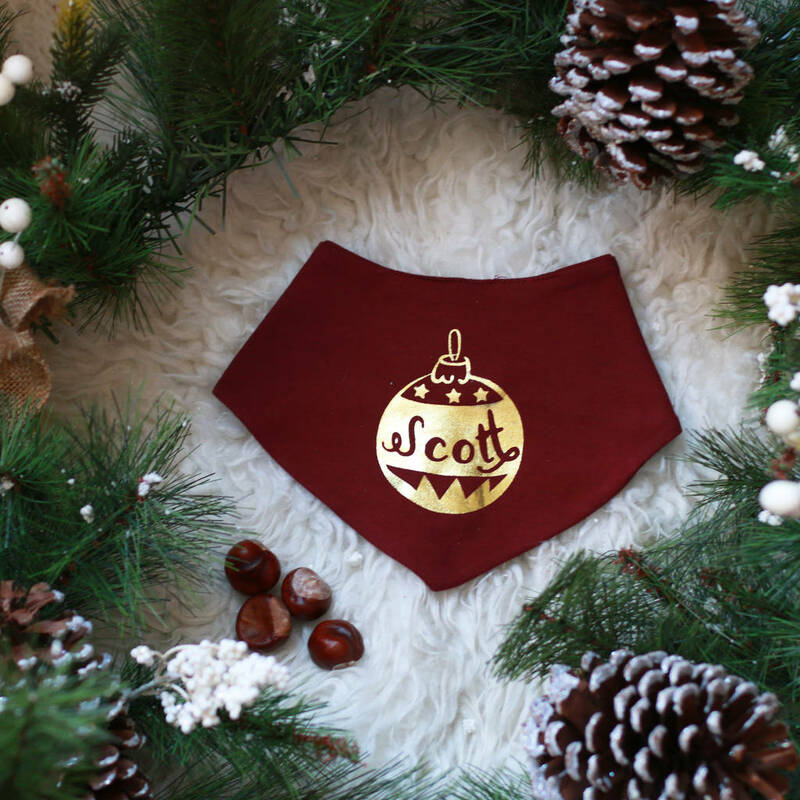 Our gorgeously soft christmas baby bib can be personalised with your choice of name making a truly special and unique gift. 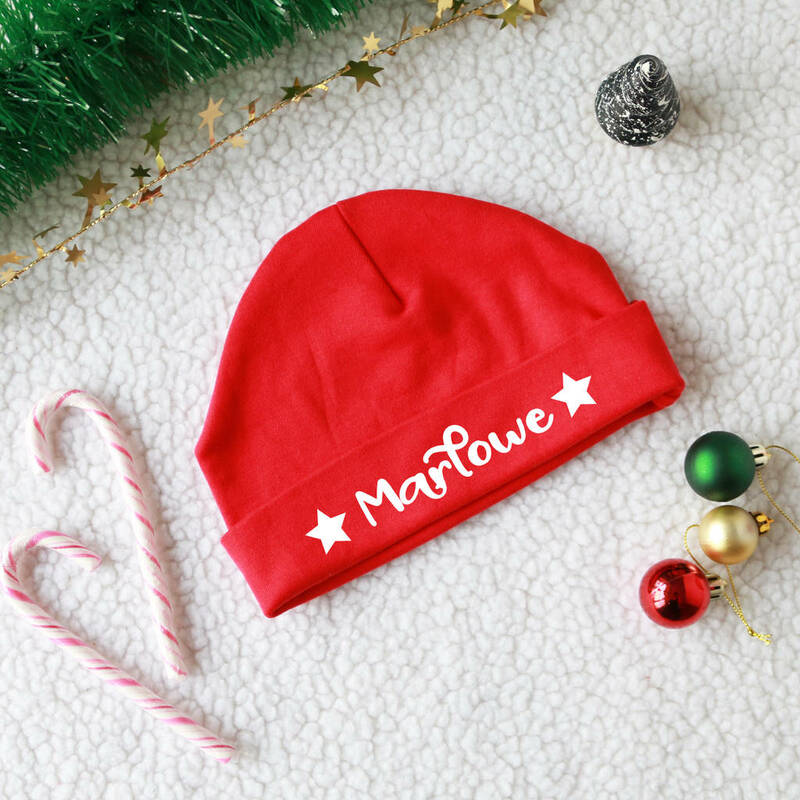 They make a great gift for your new baby, Nephew, Niece, Godson, God daughter or Grandchild for their first christmas or even second christmas! 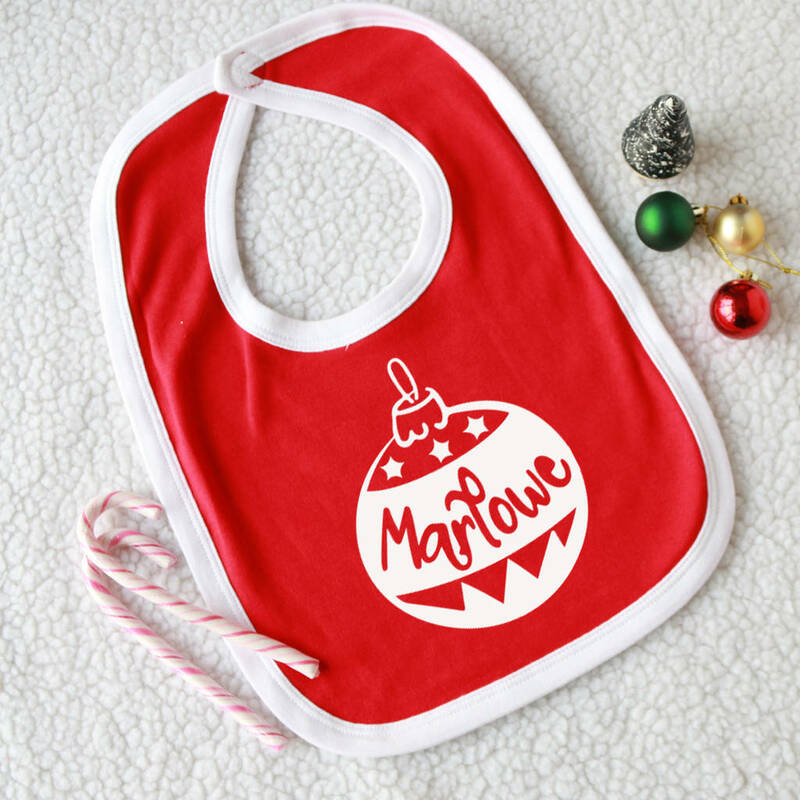 Avaiable on velcro bibdana, large velcro contract bib (white and red) or pull over red bib. 100% cotton, printed with eco friendly water based inks or metallic foil.